GPS - Trail start, 180m el. 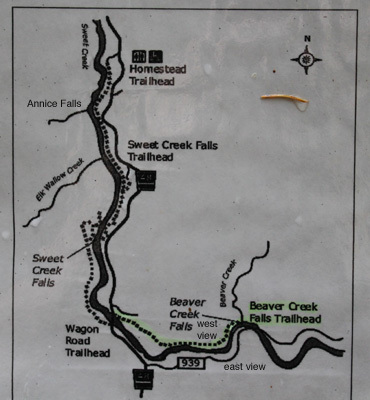 Beaver Creek Falls is south of Mapleton. 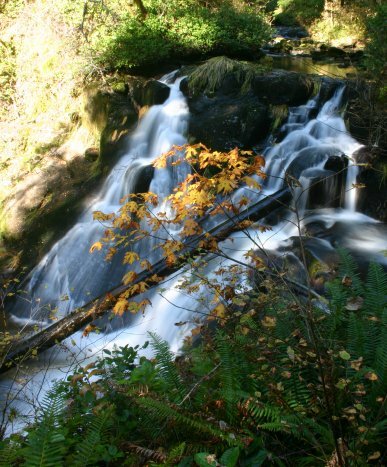 There are two ways to reach the falls - west and east viewpoints. 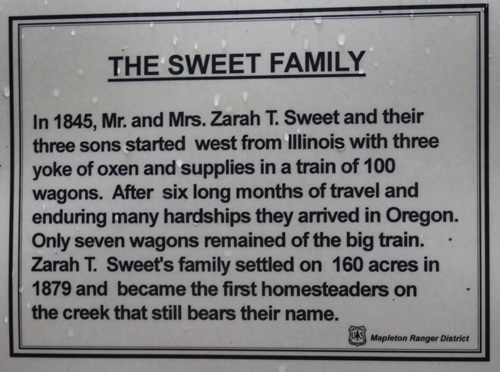 Follow Sweet Creek Road for 11.5 miles and park on the left at the Wagon Road Trailhead. 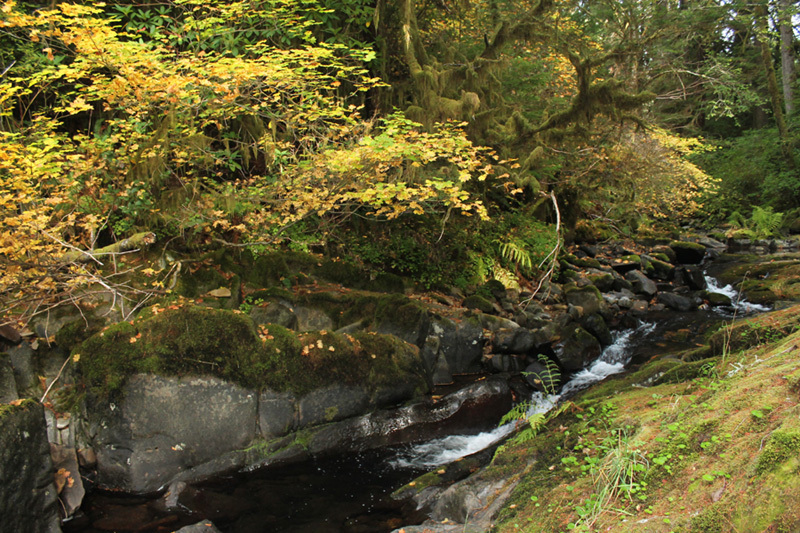 Walk back over the bridge and locate the trail seen in the picture. In 0.5 miles the falls will be in view. 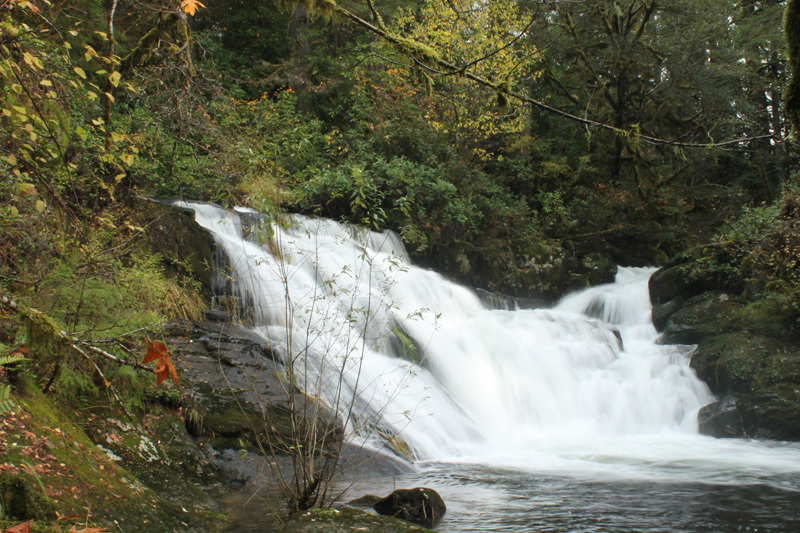 Beaver Creek Falls is on the left with Sweet Creek Falls merging on the right. 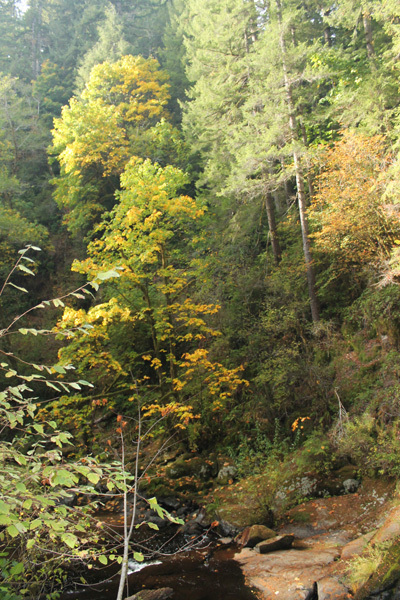 From the west viewpoint you can see the guardrail on the other side of the creek for the east viewpoint. 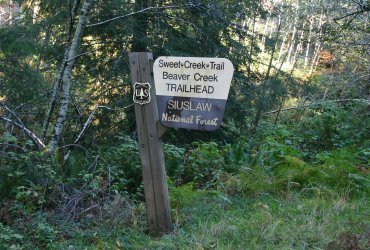 Follow Sweet Creek Road for 11.6 miles (0.1 mile past Wagon Road Trailhead). 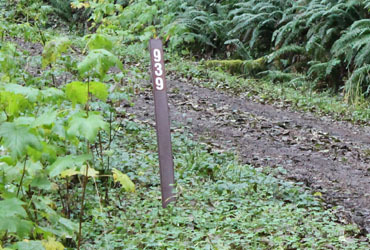 Turn left onto Forest Road 939 as indicated by a marker on the left (first picture lower left). Follow this gravel road for 0.5 miles. 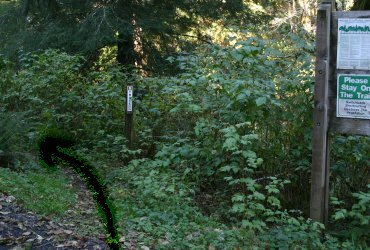 Park past the sign (second picture lower right) at the widened area at the end near a closed gate. 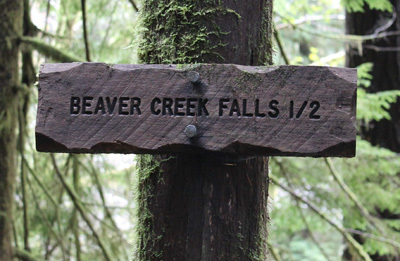 Hike back a short distance on the gravel road to the trail start (bottom picture). 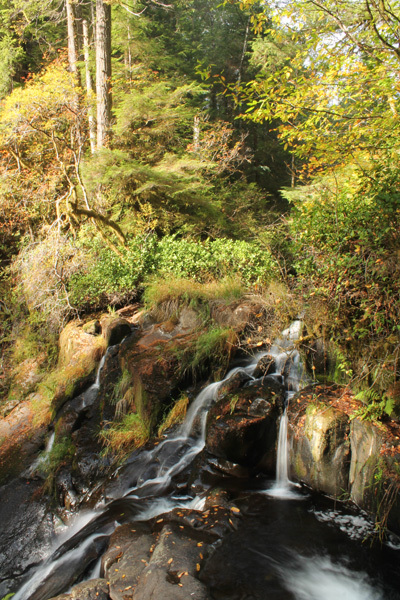 The trail is short and fairly easy with very little rise and fall in elevation.